Money will go to the Waterfront Mission and food will go to the local food closets. 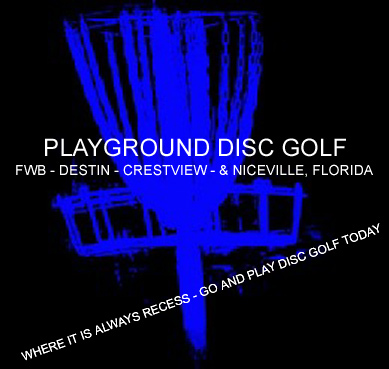 drake go to discgolfu.com it has a nice handicapping system. Is it a tag round as well like the ECDGC FFF? is there anyone that would be willing to run this thing april 17th? i'll be in atlanta. if i can't find someone by this saturday I'm going to announce that we are not doing it on the 17th. I may change it later, but for now it's saturday. Nobody found? maybe will or jeff or lance. Has anybody asked? Luke has saved the food toss and it will go on as scheduled, thanks Luke! thanks hope to see you next week. also thanks key chains for donating the innova t-shirt. This will be happening on Thursdays at 6pm with registration beginning at 530 pm beginning April 29th Thursday. How many people from here actually go to gulf breeze on thursday night? and how many people from there come here? Congratz to Ms. Birthdaygirl and her sister TK for the winning scores this week! claiming a champ XCal and $25 coupon to islanders! with the handicap the winning scores were -6 and -3 nice rounds!